If you are in the market for Elegant Themes, then you’ve come to the right place! In this article, I’ll share how you can get the greatest discounts on all of the Elegant Theme Products as well as Discount Codes for their yearly and life plan as well as a Divi Discount code. Elegant Themes have got some of the greatest themes and plugins for WordPress websites especially if you don’t want to code which is why I recommended in my guide on how to build a website without coding. Divi 3 is the most famous product from Elegant Themes and I’ll share links for Divi theme Coupons as well below. You can get 20% Off if you plan to buy their yearly access plan which consists of 87 themes and 5 plugins. You can use these Yearly bundle for unlimited WordPress websites which means you can use all 87 themes and 5 plugins on unlimited websites with premium support and regular updates. If you haven’t heard of Elegant themes before than I would probably recommend you check out a review a friend of mine did on the new Divi 3 Elegant Themes to get a better understanding of what Divi and Elegant themes have to offer. There have some of the best beginner themes for people who want to start a website with an easy and simple drag and drop module. The company offers over 87 themes and 5 plugins and you can get all of them in a bundle for a discount with the Elegant themes coupon codes below. If you click on this link you can get a 20% discount the yearly membership to Divi Elegant themes. It includes access to all their themes including Divi as well as all their plugin including Divi Builder, Bloom Email Opt-ins, Monarch Social sharing plugins and so much more. It includes a 30-day money back guarantee so if you find that you don’t like Elegant Themes (which Idk why the hell you would) you can get a complete refund with no questions asked. 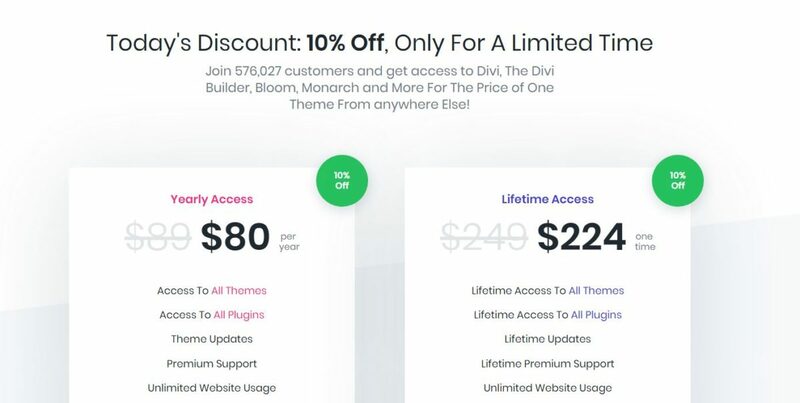 If you click on this link you can get a 10% Discount on the lifetime membership to Divi and Elegant Themes. 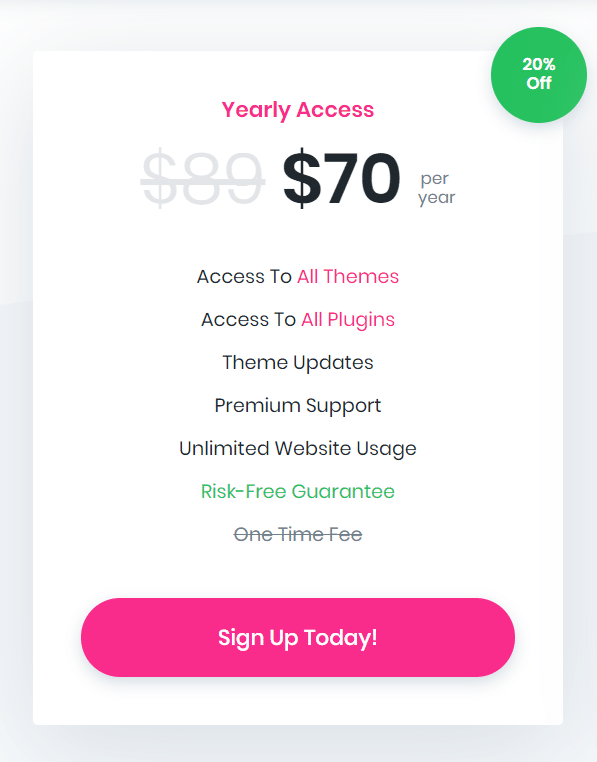 It also includes access to all their themes including Divi as well as all their plugin including Divi Builder, Bloom Email Opt-ins, Monarch Social sharing plugins and you also get lifetime updates as well as don’t have to worry about the recurring yearly cost! It also includes a 30-day money back guarantee so if you find that you don’t like Divi or Elegant Themes (which Idk why the hell you would) you can get a complete refund with no questions asked. You also get access to all upcoming Elegant Themes and Plugins that are released in the future. You can get 20% OFF on yearly and 10% OFF on lifetime plans. Divi 3.2 is the latest version of the Divi site builder which is one of the best site builders for WordPress! You can get the plugin included in either the yearly and lifetime version along with all of the Elegant Themes other offerings. Elegant Themes has some of the best support and documentation so you can get started by getting any of the coupon code from above, get a sick discount on Divi and start building websites without ever having to worry about coding!